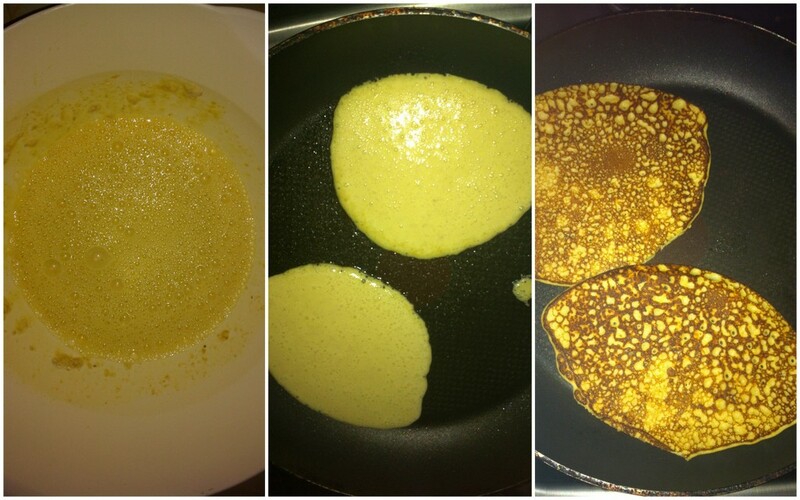 Magic pancakes I hear you ask? Yes, these sound mad, but work with me and have the trust. I've been hearing about these Slimming World magic pancakes for ages but was so hesitant to try them after attempting to make the Weetabix muffins a couple of months ago. They were vile and I'm still not over how awful they were. But a couple of weeks ago, I gave these a shot and had to tell you about them because they're my favourite weekend breakfast treat! If you're using the porridge as your Healthy B, then these are free, free I tell you! 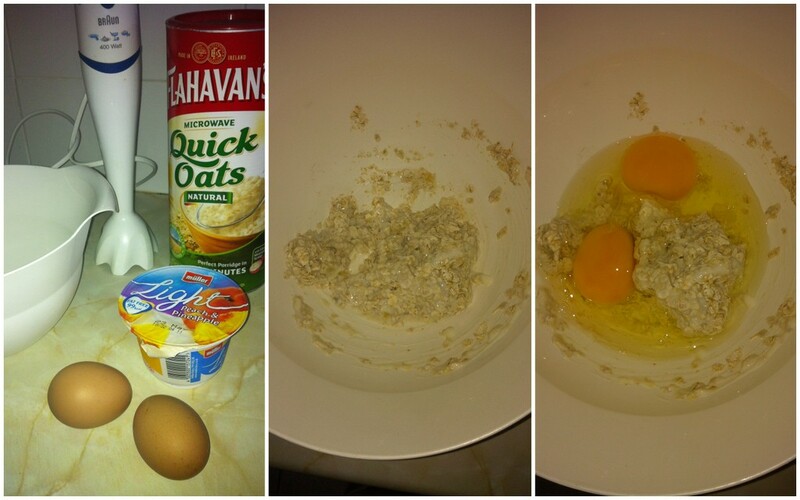 All you need is your porridge, in my case I use the Flahavans Quick Oats, a Muller Light, whichever flavour you like, and two eggs. That's it. I know! I measure out the two scoops of porridge into a bowl and add half the yogurt. I tried it before using the full pot of yogurt and it was a little too wet for my liking, so half the yogurt will do you. I then add the two eggs into the mixture and use my hand blender to blitz it up until it becomes nice and smooth like this. Spray a bit of Fry Light into your frying pan and then pour the mixture out. It's a runny batter, so make sure the pan is hot and you pour slowly, otherwise you'll have one monster pancake. When you see air holes appearing in the pancakes, you'll know it's almost ready to flip and you should pretty much wait until it looks like it's completely set before flipping it over. I'd say about 3 minutes on one side and 2 on the other will do you grand. And that's it... I know! I like to mix the other half of the pot of yogurt with some fruit and serve it on the side. But before eating, make sure you Instagram that dish! You definitely need to try these this weekend and enjoy another way of eating porridge without feeling like you're eating wallpaper paste! I've seen a banana pancake recipe a few times recently too - just a banana and an egg whisked together, cooked as per usual. Dying to try it. I've heard of that recipe too, but in Slimming World, when you mash a banana, it becomes 6 syns rather than being free unmashed, no idea why! We did he banana pancakes on our blog some time back :) SO good and completely gluten free! Need to give these a try too, they look really yummy. I don't even like porridge but I'm very tempted to give these a go. They look fab! definitely will try these! i know what u mean about the weetabix muffins, i had such high hopes for them! Oh God Sarah, I made two batches of them and they were horrible! !